This fine bottle of Chase Gin makes an excellent gift for all occasions. It is known for its combination of dark chocolate, citrus, and spicy flavours. Add some tonic for the perfect refreshing beverage or use this gin to make the perfect Sweet Martini. 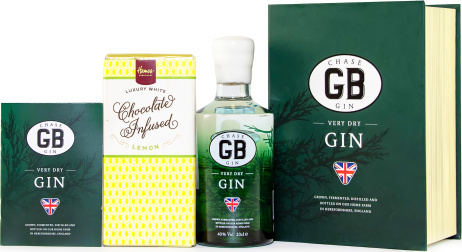 We have paired this bottle of gin with a luxury white lemon chocolate bar to make this gift even more impressive. Also included is a Gin Cocktail book presented in the gift box to get you started!